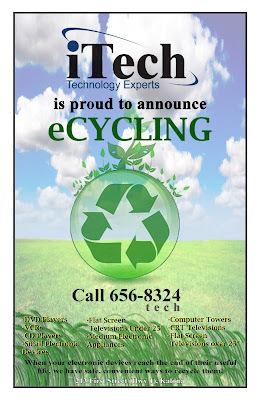 Technology Services of Iowa, LLC: ECYCLING!! iTech and your Kalona RadioShack are now proud to offer eCycling! When your electronic devices reach the end of their useful life, we have safe and convenient ways to dispose of them. Call 656-TECH today for further information!